After all the Ortolan Bunting fun and games on Wednesday evening and finally catching my breath again (after cycling like a mad man to get to the patch that evening), it was back to the old routine today. 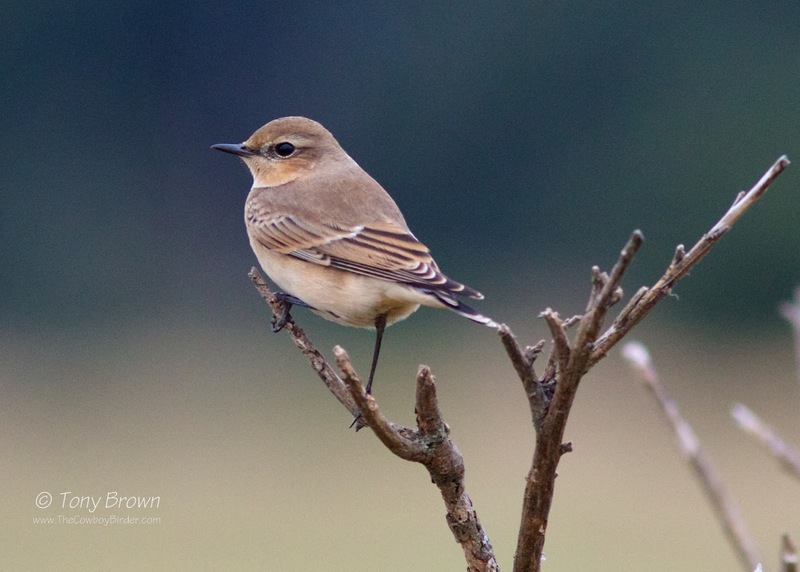 There were up to 5 Whinchat across the Flats, a couple of Yellow Wagtail flew over and there were still one or two Common Whitethroat hanging on in the Brooms, whilst a dozen or so House Martin circled over Long Wood and that was about the sum of the it. 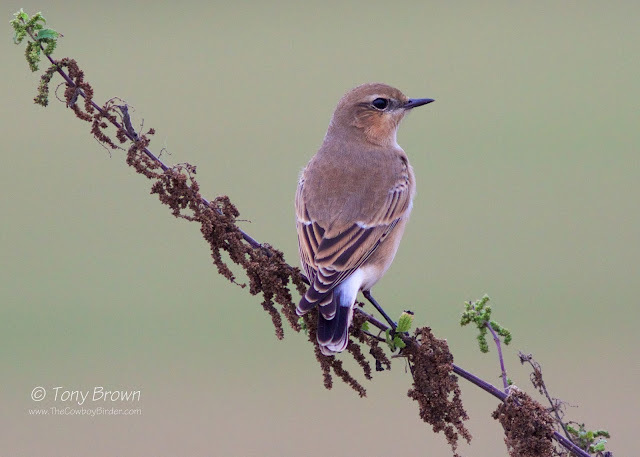 Thankfully, the morning was saved by a single Northern Wheatear - not your atypical flighty one, but one of those wonderful confiding 1st-winter birds, which happily strike a pose for the camera (unlike those adults in the spring). 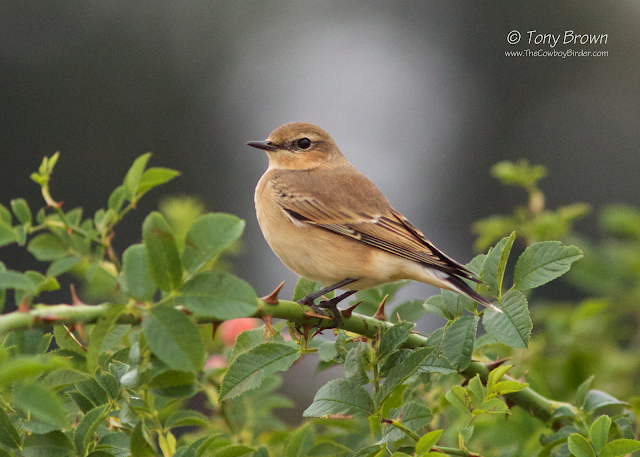 The weather was overcast and gloomy so the light was poor but I'm pleased with the resulting photos, especially as our Wheatear days are now numbered. Pied Fly - at Speed!